Stop by Vila MOT for lunch, dinner, or brunch, where this bar specializes in Spanish cuisine. Dining is also available at the coffee shop/café, and 24-hour room service is provided. Full breakfasts are available daily for a fee. Enjoy recreation amenities such as bicycles to rent or take in the view from a terrace. This hotel also features complimentary wireless Internet access, babysitting/childcare (surcharge), and a television in a common area. Getting to nearby attractions is a breeze with the area shuttle (surcharge). 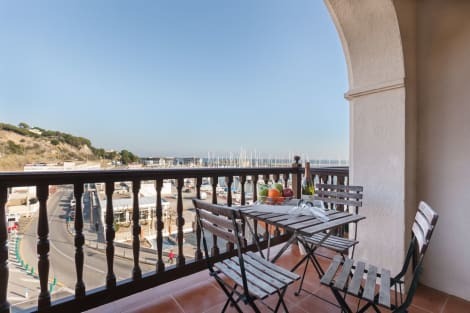 With a stay at La Premsa by Pillow in Arenys de Mar, you'll be by the sea, within a 15-minute drive of Calella Beach and Caldetes Beach. This hostal is 11.7 mi (18.8 km) from Santa Susanna Beach and 16.6 mi (26.7 km) from La Roca Village. Make yourself at home in one of the 10 air-conditioned rooms featuring microwaves and flat-screen televisions. Rooms have private furnished balconies. Complimentary wireless Internet access is available to keep you connected. Bathrooms have showers and complimentary toiletries. Make yourself comfortable in this air-conditioned apartment, featuring a kitchen with a full-sized refrigerator/freezer and a stovetop. There's a private furnished balcony. A 28-inch flat-screen television with cable programming provides entertainment, while complimentary wireless Internet access keeps you connected. Conveniences include a microwave and a coffee/tea maker, and you can also request an iron/ironing board. 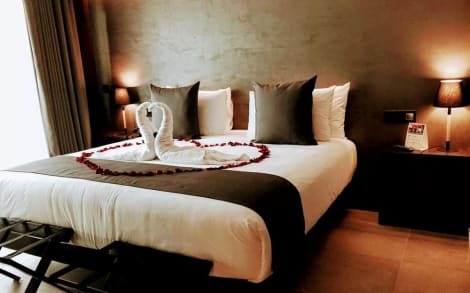 lastminute.com has a fantastic range of hotels in Arenys de Mar, with everything from cheap hotels to luxurious five star accommodation available. 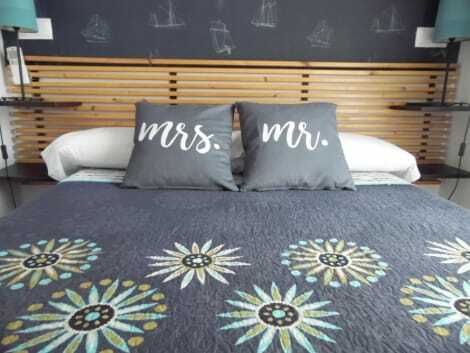 We like to live up to our last minute name so remember you can book any one of our excellent Arenys de Mar hotels up until midnight and stay the same night.